Being fifty-something, I love an excuse to wrestle an ageing kitchen appliance from the depths of the darkest corner cupboard in my kitchen. No. Really. I do. I wrote about my enlightenment on this topic over on this post: If it Ain’t Broke. Ever since, I’ve been treating my Breville Kitchen Wizz with fondness and care (and praying that the karma gods acknowledge random acts of appliance kindness when they’re totting up the numbers). Yesterday, I shared a first with my Breville Kitchen Wizz. I know … astonishing that, after all these years, we can still find something fresh in our relationship. 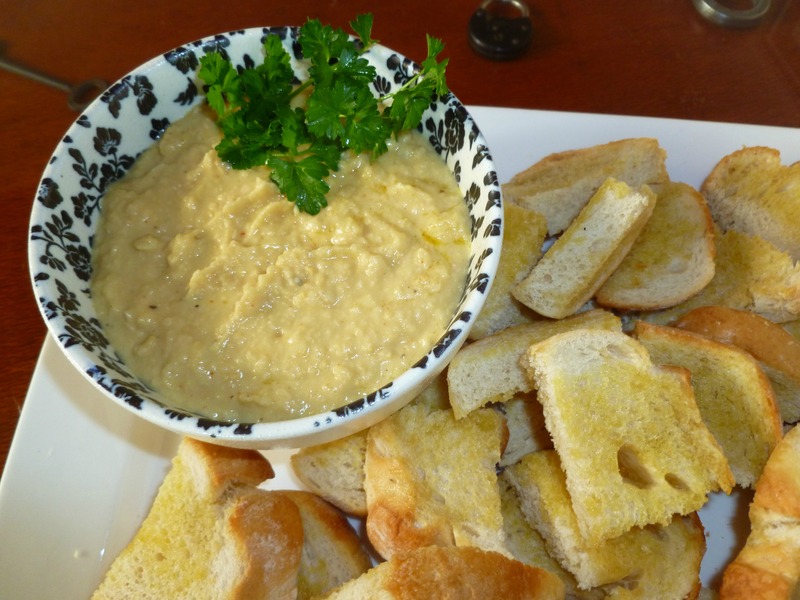 In this case, we rekindled our closeness by sharing the challenge of whipping up some home-made hummus. I’m a hummus fan, but have never made my own (until now). I put that down to not keeping tahini paste as a staple in my pantry. But I do have chickpeas. In fact, I have a veritable feast of chickpeas since Mr P found them on sale at one of his secret retail haunts and made a bulk purchase. I figured it was time to invest in some tahini paste … until I got intimate with Chef Google and discovered there are as many hummus recipes without tahini paste as there are with. Chef Google surrendered his soul with a hummus recipe for which I had every ingredient on hand. I only fiddled with it a little. I promise. No shopping required. No fuss. No expense. I reckon that’s too good not to share (even though I’ve said before that this is not [and never will be] a recipe blog … my family would mock me mercilessly given my lack of cooking expertise). Let’s call this sharing a kitchen breakthrough moment (rather than a recipe). Wizz it all together (in your Breville Kitchen Wizz, of course) until smooth. Garnish with fresh parsley from the herb garden and serve with sour dough toasts (bread slices brushed with olive oil and lightly oven-baked until golden brown). There it is … a three-way rendezvous on the kitchen counter: me, my Breville Kitchen Wizz and Chef Google. The tahini paste didn’t get a look-in. Previous Post When will I ever grow up? I have neither food processor nor blender, but I undertook the task of making my own hummus some time ago. The fork doesn’t cut it. Disaster. I’m with Teresa in the disastrous hummus corner. Am truly impressed! Chef Google… I love it.